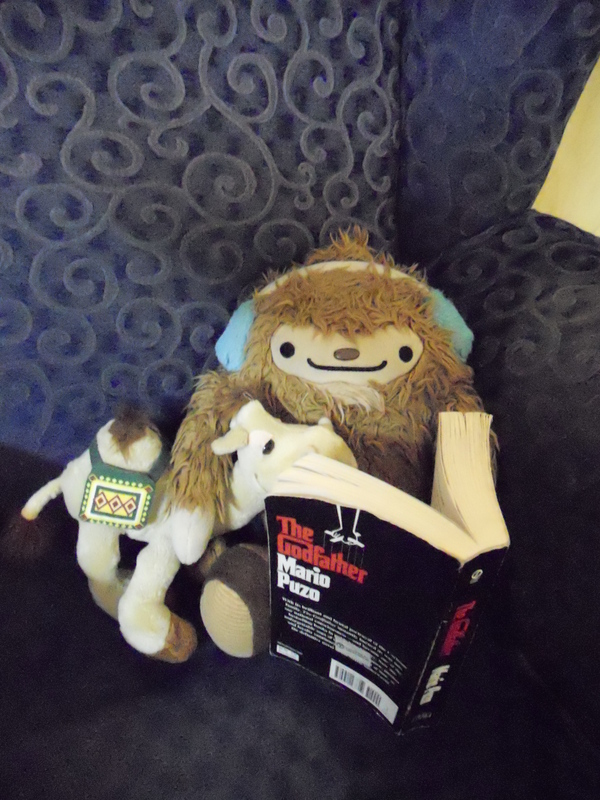 Hi, This is Quatiken and Humphrey reading the Godfather.We are both big fans of the movie series and are happy to note that the book has much more details! This is Quatchmas. 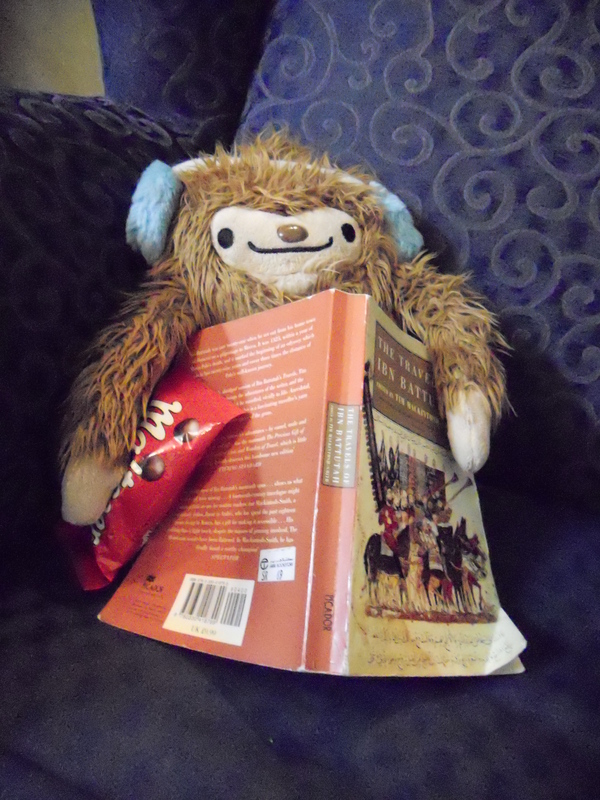 I thought that I would read something cultural. This is a famous Morrocaan guy called Ibn Bhutta and he traveled for 29 years and had 10 wives and etc. It is soo fascinating. Of course, I do get the munches so I like to snack on Malteasers or cola bottle gummies.LOL. Hey there. This is Quatchyear, I thought that I would do something a little more zen. I have been watching a lot of crazy stuff on the news and I thought that picking this up was nice. It’s called “Don’t sweat the small stuff.” Very informative. Oh, we all of us (Quatchiken, Quatchmas, Quatchyear, and Humphrey) want to send a big shout out to Esther because she has been with the Quatchi clan for a long time and we are glad to see her check us out since we are back. We want to thank you and one day if we ever go to Toronto we will let her know. BIG BIG QUATCHI CLAN HUGS, SNUGGLES, AND KISSES. Thanks for following us! Cheers from Toronto! 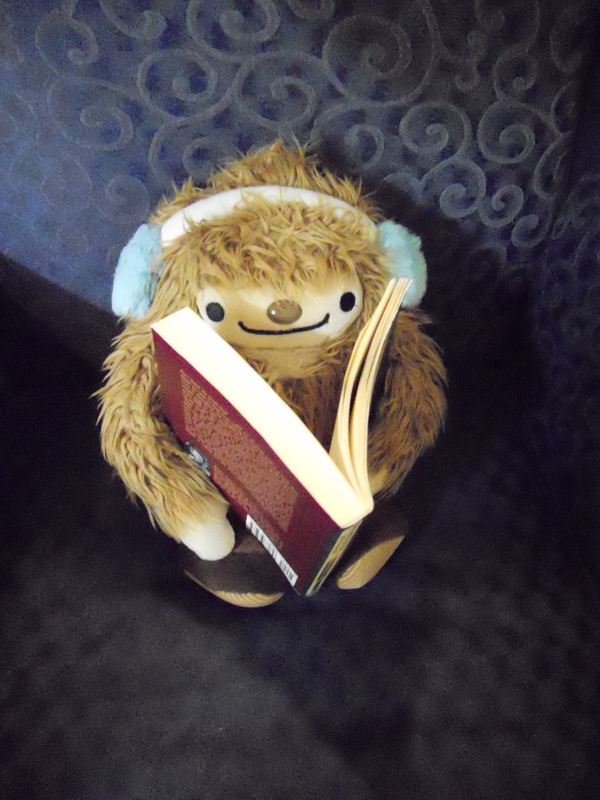 My Q loves the adventures of his distant cousins and loves to hear more. Miss you all. Enjoying the last bit of the summer here in Toronto.